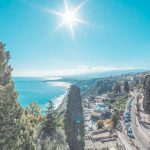 The “Villa Paradiso”, a historic and recently restored hotel in Taormina, is a short walk from the centre of Taormina, Corso Umberto, the Greek Theatre and the Palazzo dei Congressi. 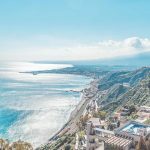 The Hotel is close to the Parco Duca di Cesarò and the Tennis Club, and affords a breathtaking view of the Bay of Naxos and Mount Etna. The lounge, the veranda with view of the garden, the bar and the reception area feature an impressive collection of old prints and framed pictures. 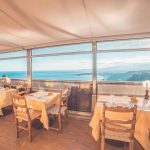 The “Al Settimo Cielo” (Seventh Heaven) Restaurant affords the finest view of Taormina, from the Greek Theatre to the Parco Duca di Cesarò and from the Ionian Coast to Mount Etna, as well as an all-round view of the town: here you can enjoy a buffet breakfast as well as delicious Sicilian and International dishes, lovingly prepared by our Chefs; there is also a broad selection of Regional wines. During summer: transfer and free entrance to our beautiful Paradise beach club in Leojanni. 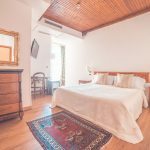 The rooms with views of the town and garden, and even those with views of the Sea and Mount Etna are furnished in Sicilian style and come with all amenities. Between 01/06 and 15/10 the Hotel will offer a free beach service at the famous Letojanni “Paradise Beach Club”, one of Sicily’s most beautiful lidos with tropical garden, a salt water pool, a private beach, a Mojito snack bar, a restaurant offering fish specialities, changing rooms, cabins, and wireless Internet available at a charge. The Paradise Beach Club is a 15-minute walk from the hotel and there is a shuttle service between the two at fixed times; there is also a tennis court available all year round, free for 55 minutes per day per person. Free parking by the hotel (only 3 parking spaces); or pay car-park 100 metres from the hotel. Wireless Internet free. Among the most scenic of Taormina.